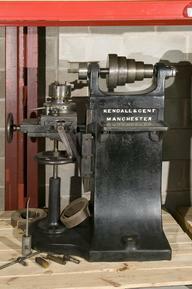 Shaping machine, made by Joseph Whitworth & Co., Manchester, 1865. Number 298. 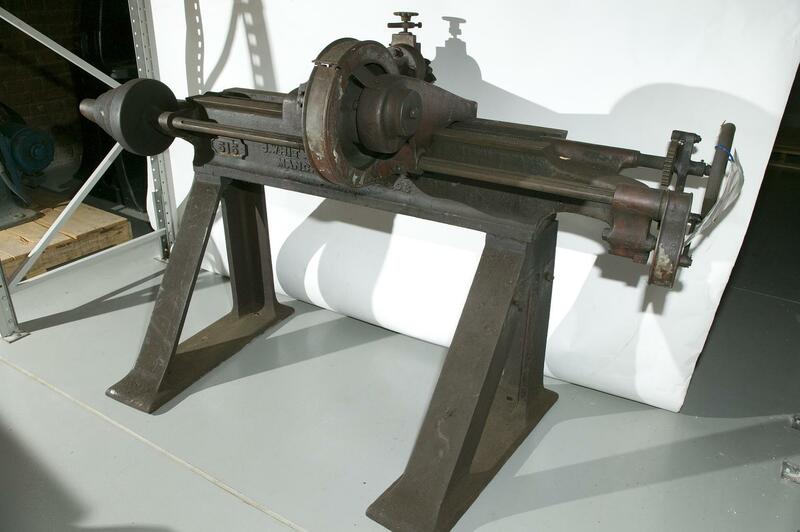 The shaping machine is set on a lathe-style bed with ‘A’-shaped legs. This shaping machine does not have a table on which to bolt the workpiece. Instead, the cutting tool overhangs the edge of the bed allowing the ‘head’ on which it is mounted to move along the length of the bed. A handle on the left of the machine moves the head. 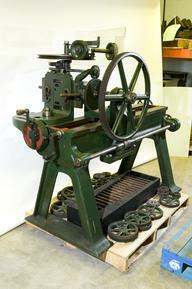 The design of the machine suggests that it was used to shape large machine parts. 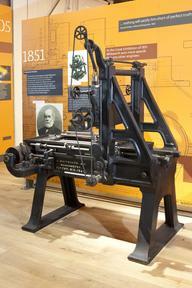 This machine was presented to the museum in 1977 by Stancliffe Stone Co., Darley Dale near Matlock in Derbyshire. Joseph Whitworth owned Stancliffe Hall, next to the quarry.